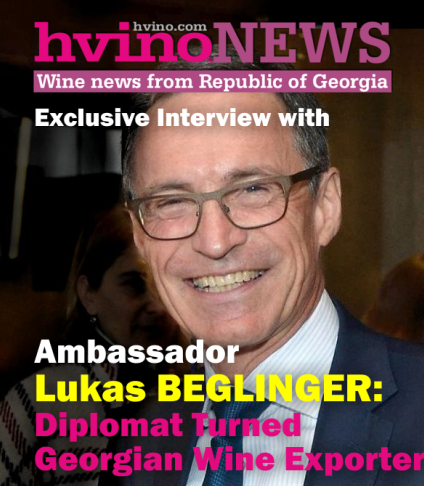 Hvino News | Georgian Wine News: Florian VAN DER BELLEN: "To make wine tourism stronger, you have to internationally promote Georgia as a destination first"
FVdB: I am always open to change, but Georgia is my personal love story. Love never comes planned. AK: Georgia is still quite an unusual destination, in the eyes of most Europeans. Is this situation good or bad for your business? FVdB: I think for me it is good. When I talk to people about Georgia and its many advantages, especially for business, and they see my eyes shine with enthusiasm, it does create special interest. AK: You are coming from a family of a professional politician. Do you have any political experience, education, or perhaps you have helped in your father’s campaigning in the past? "I see Georgia as a country with unlimited potential, but this potential needs to be protected as well." FVdB: None whatsoever. Politics are not my thing. 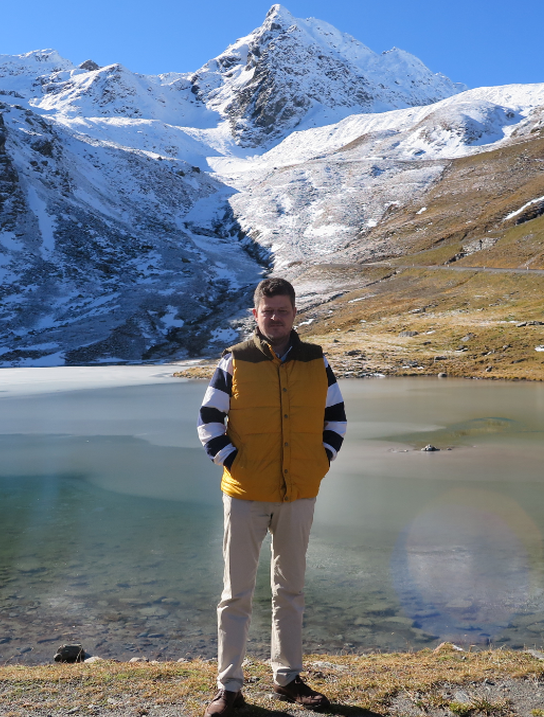 I used to work as a director of a Tyrolean Tourism Association, that was politics enough for me. I prefer business and real personal relationships. AK: Speaking about the politics, have you paid attention to studying the political situation in Georgia, before making commitment? FVdB: Of course, to some extent. I met some Georgian politicians, too, but mainly I spoke to business people and average Georgians, if you like. AK: If you were in position to improve anything in Georgia, what are the three main things you would propose? 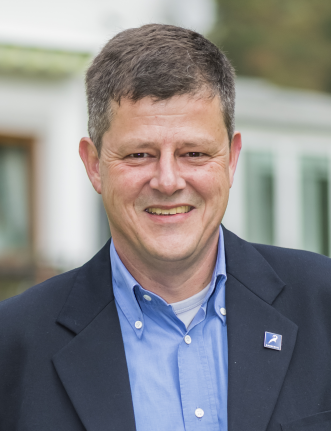 FVdB: My professional background lies in tourism and I see Georgia as a country with unlimited potential, BUT: this potential needs to be protected as well. What I mean is, the beauty of your country, its diverse landscapes, culture and people are your biggest asset. But this asset needs to be taken care of and treated responsibly. Some of your most beautiful areas suffer from unrestricted building. There needs to be a strategy and a legislation to stop this ugly wild growth of buildings. It is so easy to destroy the very basis of your asset, you need to protect it now. Austria has made all these mistakes in the past, there is no need for Georgia to repeat them. A second thing I would like to see is Georgia better using its agricultural potential. 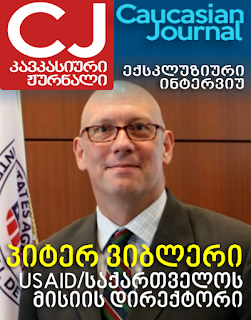 I see great opportunity there and am interested in helping to make Georgian products better known and more exported. A third issue is the bad air in Tbilisi, but I understand the government has introduced plans and first steps to improve this situation. AK: How did your Georgia project evolve, and how would you characterize your current standing as a consultancy? Who are your main clients? Could you share your plans with our readers? FVdB: I arrived in Georgia for the first time in April 2017. In May 2018, I registered a company in Tbilisi, Van der Bellen International LLC. This company is designed to promote Georgian business opportunities not only in tourism, but in all areas, to international business people, companies and investors. We are still in the early phase, but very happy with the diversity of businesses who approach us. They reach from tourism to sustainable energy, from agriculture to waste management, to name only a few areas. 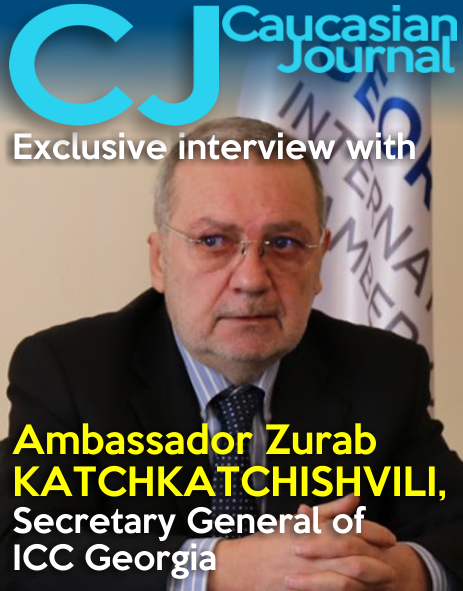 There is also interest from your neighbouring countries, especially from Azerbaijan. My Georgian partner and I are encouraging more Georgian companies to approach us for an exchange on business opportunities. We are looking forward to many strong cooperations. They can start with an idea or with a precise project looking for international partners or know-how. 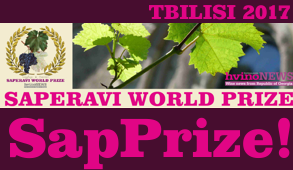 AK: Our publication Hvino News pays special attention to winemaking and related businesses, including wine tourism. 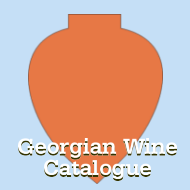 Given better development of wine tourism infrastructure in Europe, what should be done to make Georgia’s wine tourism competitive? FVdB: Wine tourism is a very attractive niche area. To make Georgia’s wine tourism stronger, you have to internationally promote Georgia as a destination first. Not many people fly to California to just see the Napa Valley, but while they are there, they want to see it. 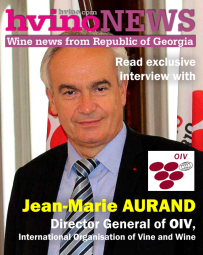 The Georgian wine industry also has to take steps into further promoting its uniqueness internationally. AK: Georgia participates in tourism fairs in Austria such as the recent “Ferien-Messe 2019” finished just days ago. How effective is this for tourism development? Given the fact that Georgia’s budget is tight, how effective is the Georgian government’s spending in the tourism promotion field, in your opinion? FVdB: It is difficult to measure how effective a participation in a tourism fair is. It also depends on the fair itself. For example, a smaller specialized fair may be cheaper and attract a higher percentage of potential clientele than a huge and extremely expensive one like ITB Berlin. I am not a big fan of these fairs, because tourism is not about 10.000 travel and tour agencies giving you brochures. It is about telling stories, about emotions and experiences. I like the promotional summer and winter videos from GNTA, unfortunately in Western Europe we don’t see any promotions of Georgia at all. AK: Generally, what problems Georgia has to overcome to be more successful at the world market – perhaps legal framework, logistics/communication, or business culture? FVdB: That depends very much on the industry you are talking about. The ability to cooperate will be essential, especially in the agricultural sector. Georgia is on a very good way, so let’s focus on making things happen. FVdB: My family means everything to me. I love playing with my five year old son. He is the most amazing and wonderful person on this planet. We like to go skiing in winter or play at some little creeks in summer where we build dams and make a BBQ. We love nature and spend as much time outside as we can. We both love cats, maybe that’s another reason why we like Tbilisi so much J.
AK: Thank you very much.